Microsoft has officially outed some official details on the new upgrade for its Windows Phone mobile platform. 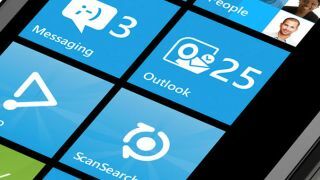 Known as Windows Phone Tango, the latest release also sports the less marketable ID 7.10.8773.98, and brings with it a range of new features and fixes. Windows Phone is still a fledgling operating system and early adopters will be aware that it is by no means a finished product, with bugs cropping up here and there. The Tango update will include the ability to add multiple attachments to single messages and users will also be able to import contacts to/from their SIM card – something which has been sorely missing from previous versions of the software. The upgrade will also bring a host of "other improvements" and "enhancements", the details of which remain under wraps for the time being. There's currently no release date for this upgrade and it will have to pass through the mobile networks first, before being rolled out to customers.